MADISON: Can you smell my breath? PAPA: Say hey to your uncle. MADISON: But that's not a phone. ALLISON: You're getting so tall. MADISON: I'm just getting old. ME: You and Mama are tied. MADISON: That means I'm winning. MADISON: Remember these? My feet! Nope, those are funny to people outside the family as well! But maybe your target audience is parents of toddlers. This kind of humor is our jam right now. I hope you don't mind if I steal this one-liner chronicling feature to write about my own cleverly articulate 3 year old. Thanks, Rae! Go for it... 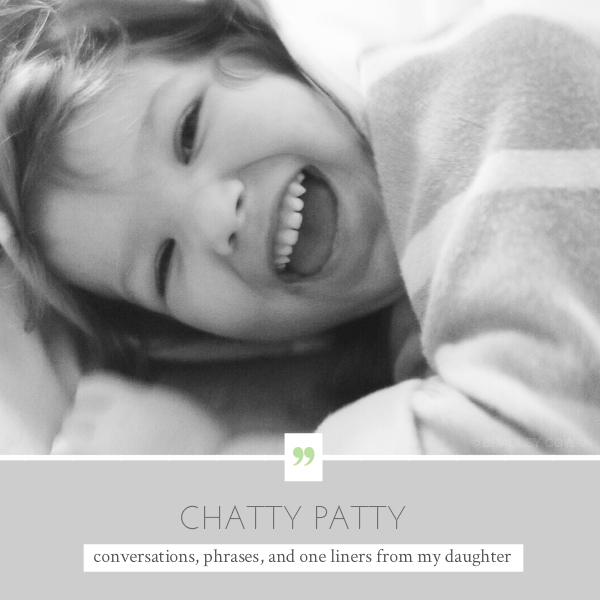 I think every parent should write down a few of their kid's funny little sayings. It will give us something to look back and laugh on when they're trying our patience as teenagers. Right?